At PetraGems, we mean it when we say your satisfaction is more important to us than your business. Quality and best price is what we’re known for, and integrity, honesty and fairness are values we live by. Here are some reviews from our most recent clients. I spent months pricing diamonds through local jewelry stores, and online stores. I discovered the massive depreciation of purchasing a diamond by such means. I discovered Petra Gems on etsy.com and craiglist.org. while conducting searches during my most recent deployment to the Middle East. Skeptical of how low his prices are, I researched Sharif / Petra Gems, and found them to be licensed for business in Michigan. I contacted the Michigan Attorney General’s office, and found zero complaints. I also researched through the Better Business Bureau, and discovered an A rating. I contacted Sharif, and discussed the diamond and ring I was interested in. I gave him my budget, and expectations. Not having the diamond I wanted in stock, Sharif went above and beyond to find the diamond I desired (AGS 000). I purchased a diamond from Sharif / Petra Gems on 12/04/14. The price came in under my budget, and well under the competition. We are currently working on models of a custom engagement ring and wedding band. I am confident that he will exceed my expectations. My primary employment is a Criminal Investigator (detective) with the State Police having in excess of 11 years’ time in service. My secondary employment is a Uniformed Service Member United States Air Force PA ANG Tsgt. / E-6 – Team Lead as a Crew Chief on a KC-135 having in excess of 13 years’ time in service. I found a ring on PetraGems that really appealed to me and I had been looking for something very specific. After several phone calls with Sharif, I decided to purchase the ring. He was very patient with my many questions and was very helpful, not pushy at all. It can be difficult to make a purchase like this online but Sharif made this very easy and pleasant. When the ring came it was better than expected! Wow what a pleasant surprise that was. Love the ring, thanks Sharif! This was my first major purchase over the internet and I was quite nervous. I shouldn't have been concerned. After much hand holding by PetraGems I was successful in making my purchase. Everything went as planned and the item arrived as advertised. I wouldn't hesitate to deal with Petragems again. Hey, I just wanted to give you some positive feedback on what it was like buying a ring online. Pros/cons etc. I am sharing this with you bc I feel like you are a legitimate good guy and I hope my feedback helps you. I have spent countless hours looking online for an engagement ring and decided to buy from you. I almost didn't but am glad I did. This will be my second engagement ring and I had a bad experience getting taken advantage of in the moment at a local jeweler and way overpaid about 10 years ago. So this go around I decided to try the internet. I spent lots of time online with large legit sites like Blue Nile, etc and got a feel for what they offered. Then I also ran across many discount sites like World Jewels, beverly Diamonds, etc. After reading lots of bad reviews about those sites and other "discount" sites with "in house" diamond graders, I knew I would only be safe buying a GIA or IGI graded diamond. Who wants to spend a bunch of time returning or verifying suspect stones? As I was not in a hurry, every morning I also looked at Craigslist in Memphis, TN and usually saw lots of terrible stuff at terrible prices. I am no stranger to Craigslist and can usually spot a scam a mile away. Anyway, I ran across your ad in the jackson, MS craiglist listing and was directed to your website. So your listing in Craigslist did work. However, the first thing that runs across my mind in craigslist and a non local seller is "scam artist". That was the first mental red flag with your business. Now I am on your site and really like your small but very elegant ring selection. The pictures, descriptions and detail are excellent. I like a few of your products and contact you via email. You gave a great and fast response and I decided I did want to buy the ring. Now is my moment of truth, do I really send you, a person I have no relationship with, a bunch of money for goods I hope show up site unseen? A quick google map search of the business address shows what looks like an apartment building for an address of a gem store....red flag. A whois search of petragems shows a website bought less than a year ago which also expires later this year.....red flag. A business entity search of Petragems on the Michigan Secretary of State business search website shows no business listing in state under petragems....red flag. Most people would never send you $20 with all of those red flags much less thousands of dollars. However, my gut told me you had a legitimate site and were actually selling items exactly as described on your website. 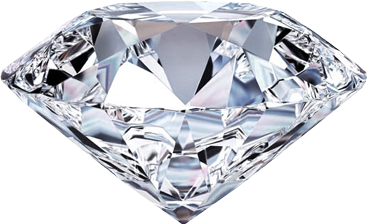 My thought process what that if you were a scammer, you would not have a diverse extensive listing of diamonds. They would all be similar items. Yours are very diverse. The fact you stated you had no way knowing the weight of the Robbins Bros diamond made me believe you really were a legit person. I reverse googled your phone number and discovered your name and linkedin info, etc. You seem on the internet anyway, to be a very successful intelligent person. I also saw a listing that PetraGems had in some type of wedding expo a few months back. None of these things seems to be the types of things a shady business owner would have on his record. I saw what looked like successful person trying to create a new stream of income for himself. So I gambled and sent you the money. I am glad I did, I did take the ring immediately to a local shop and verified the stone is "real" and am now awaiting the appraisal which I needed for insurance purposes anyway. I hope this insight helps puts you in mindset of your potential buyers. I am very pleased with my purchase and will be more than happy to help you in way I can! We all know that good customer service can turn a retail store into a booming business but not everyone keeps this in mind when dealing with their customers. I can tell you that the owner of PetraGems has not forgotten how important his customers are to his business. First, PetraGems has beautiful inventory and great prices. I believe you would be hard pressed to find a better combination of quality product and pricing. Trust me; I searched for a long time before I made a final decision. Secondly, the customer service offered by PetraGems is top notch. All emails were answered promptly and were full of helpful information. The owner also checked in with me several times to make sure my special delivery arrived on time and that I was happy with it. Lastly, it was a pleasure conversing with the owner. He truly seemed to care that I was happy with my purchase and that I had found the perfect fit for me. I appreciate all the help and service that was extended to me and will most certainly shop at PetraGems as often as I can. Thank you. I contacted Petragems with a specific request for a platinum diamond band that would match my platinum diamond engagement ring. Within a week, they found a beautiful ring that fit my budget and my expectations. I'm happy with my purchase. Thank you! My experience with Petra Gems was nothing short of stellar. I found him to be honest and truly concerned for my satisfaction. He only deals in quality diamonds. His prices are beyond fair. I was an assistant manager at a family run jewelry store. I know what I am talking about. He did not disappoint!